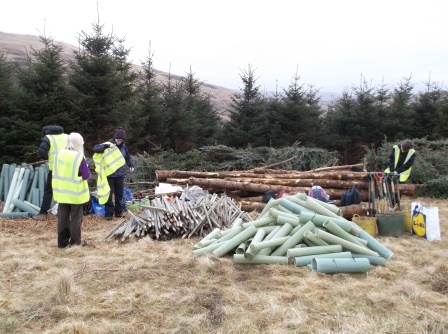 On the 14 th of March, five other Green Team members and I went to Glenlude, Innerleithen to help get ready for the 20th anniversary of the Green Team. We went there the day before the actual anniversary to get the place ready and make sure we knew how to help those what were wanting to plant trees. 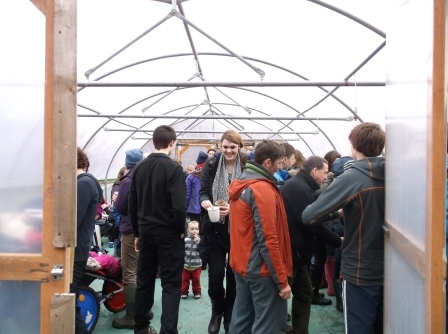 When we got there, we first cleared out the polythene tent that would hold all the drinks and cakes for afterwards. Then we took multiple trips up and down the hill taking all the gear that we’d need in order to plant the trees including stakes, shovels, mallets, etc. 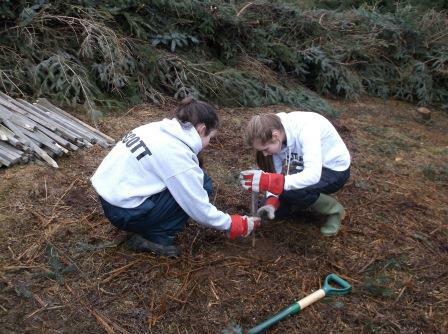 We were taught how to plant trees ourselves so that anyone who need help the next day could get help from any of us. 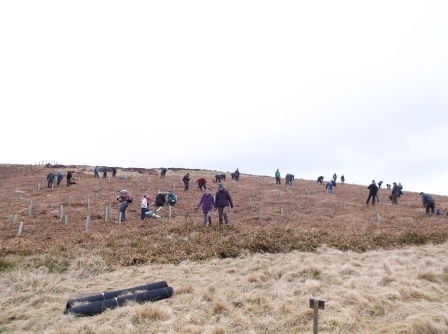 On the 15th there were around 40 people who came to plant trees and celebrate the Green Team’s 20th anniversary. They were also able to write messages on the deer guards to dedicate the trees to family members or loved ones. Afterwards we all came back down to enjoy some of those drinks and cakes brought in. 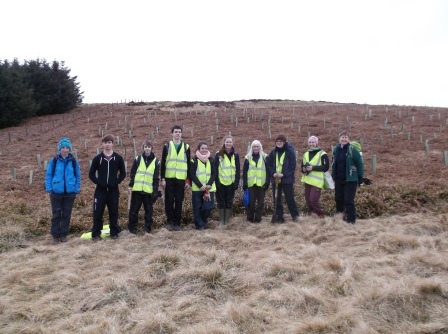 I really enjoyed the whole experience as it was interesting learning how to plant trees and also to help others who wanted to plant them for various reasons.